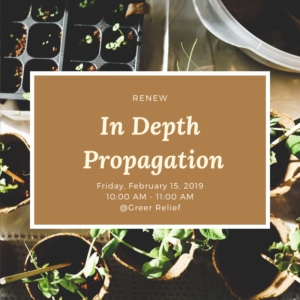 This class will be an in depth lesson with master gardener, Andrew Padula, on how to propagate your plants for the Spring. 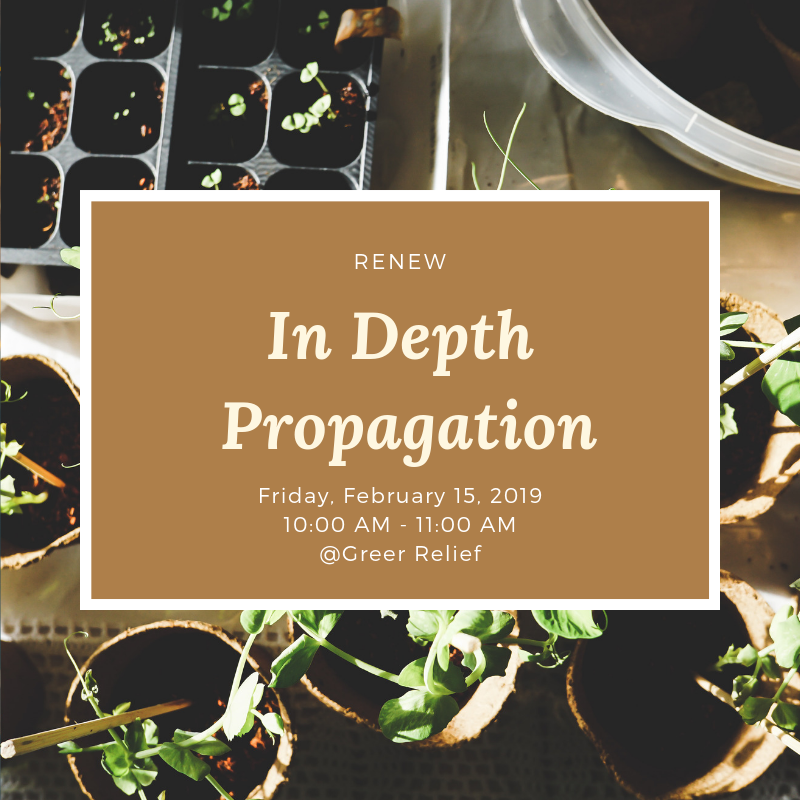 This class will be taught on February 15th from 10:00 AM – 11:00 AM at Greer Relief. Only participants 18 and up are eligible to receive RENEW Rewards. Register here. © 2019 Greer Relief | An Engenius website.